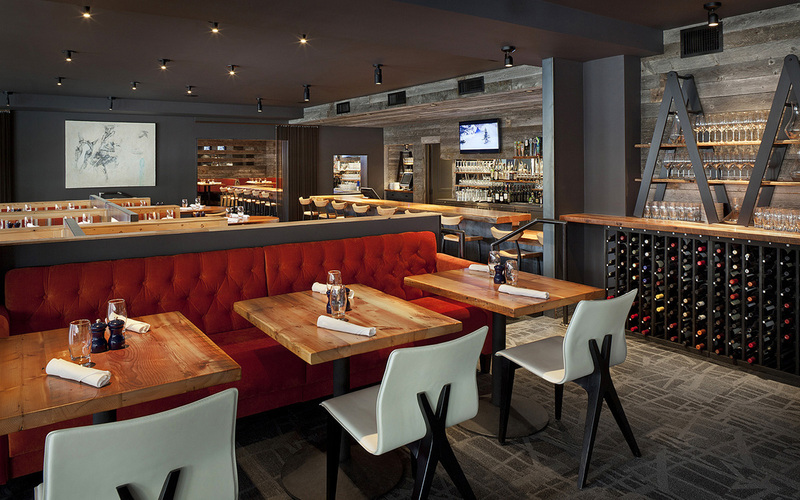 Formerly known as Cascade, the new restaurant, bar and lounge at the Teton Mountain Lodge in Wyoming has been rebranded with a new name, new menu, and all new interiors. 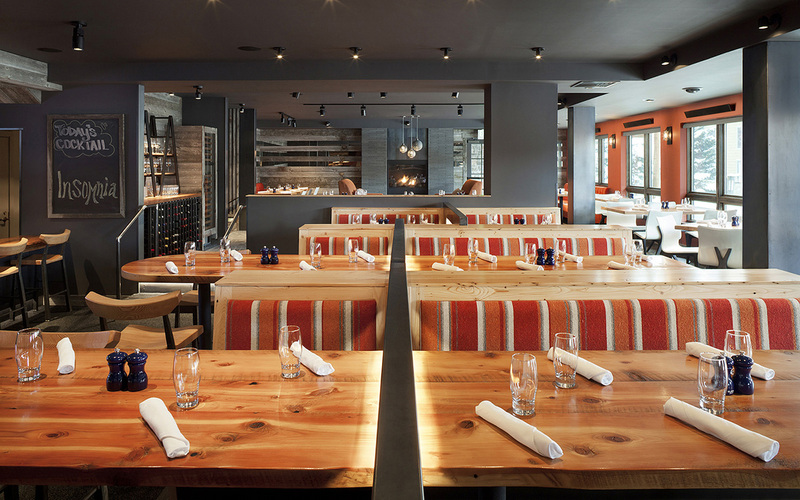 The dining room and bar is a warm and casual space that celebrates the western mountain aesthetic. 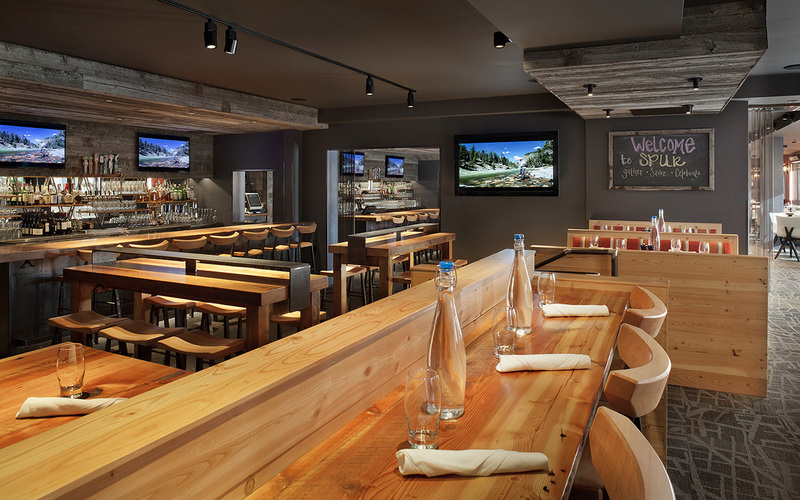 The design of the interior evokes the Jackson Hole qualities of rustic nature with a touch of contemporary flair. Guests can relax by the fireplace or saddle up to the bar. 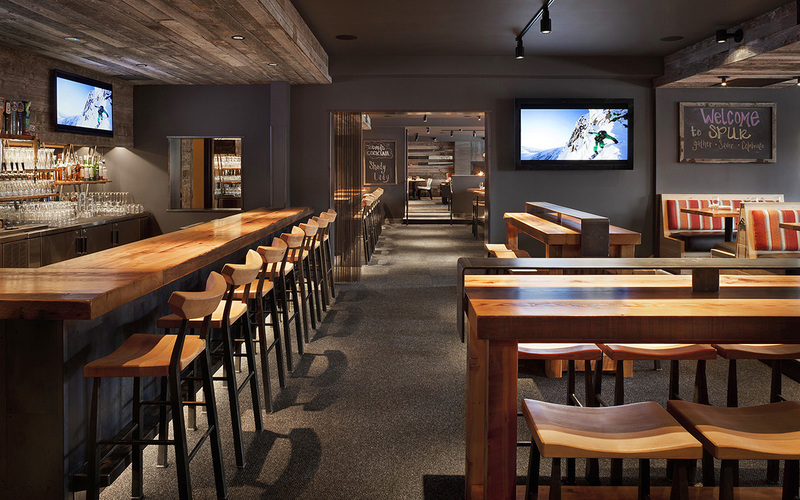 The chic and sophisticated design solution appeals to all ages, the après ski crowd and dinner guests. 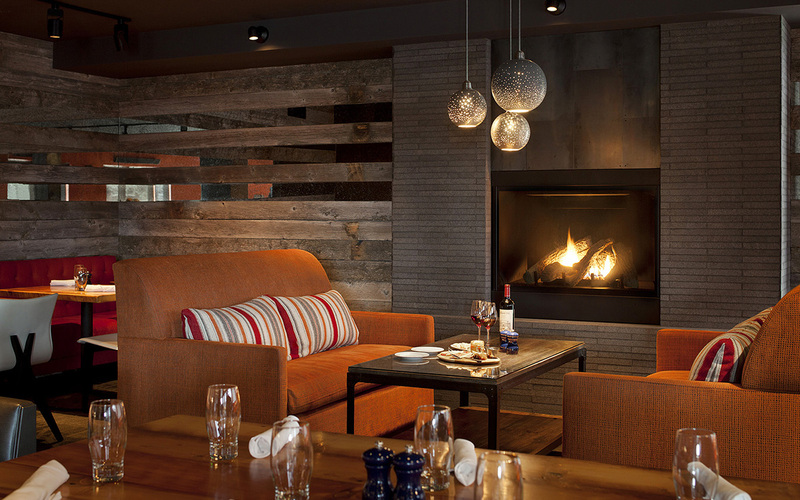 Local materials and crafts have been incorporated to evoke a sense of place that is uniquely Jackson Hole: natural, rustic, yet cosmopolitan in its sophistication.